Bollywood as an industry is very cut-throat and every stars’ future depends on Friday. Now, there are only 52 weeks in a year and it is inevitable that films will clash at the box-office. 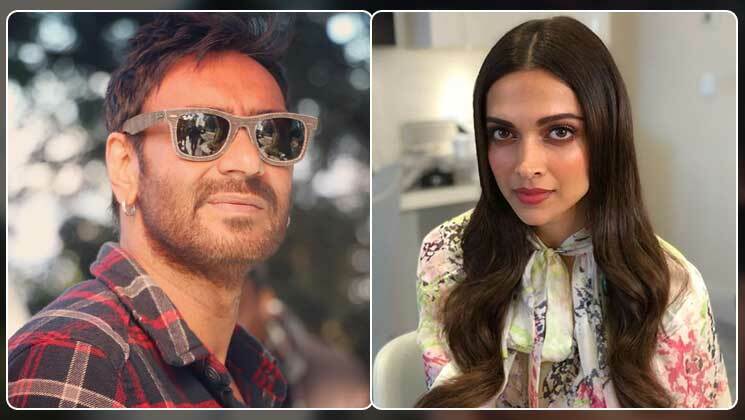 It looks like, Ajay Devgn’s ‘Taanaji: The Unsung Warrior’ will be clashing with Deepika Padukone‘s ‘Chhapaak’ at the box-office. Ajay Devgn took to micro-blogging site Twitter and announced the release date of ‘Taanaji: The Unsung Warrior’. Today, on Monday, as the makers of the Deepika Padukone-starrer ‘Chhapaak’ revealed the actress’ first look from the film, they also went public with its release date. The film, which is based on the life of acid attack survivor Laxmi Agarwal. ‘Chhapaak’ is also slated to release on January 10, 2020. ‘Taanaji: The Unsung Warrior’ is based on the life of 17th century Maharashtrian military leader. It is a joint production venture between Ajay Devgn Ffilms and T-Series, marks the on-screen reunion of Ajay and his wife Kajol after nine years. ‘Chhapaak’, on the other hand, tells a heroic tale of overcoming struggle and fighting all the obstacles that life throws at you.